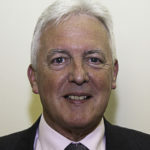 Tom is from the Sheriffdom of North Strathclyde and is heavily involved in JP training. He sits on the Advisory Council of the Judicial Institute. He lives in Balloch by Loch Lomond and normally sits in Court in Dumbarton. Away from Court he runs a business supplying equipment and a training and auditing facility to the food industry. Tom is married with two grown up children and is a Deputy Lord Lieutenant of Dunbartonshire.